Well, what do we have here? Not surprising news, as George Soros, the fake philanthropist billionaire, and disgusting socialist, has been revealed to be behind the funding of Gina Miller’s ‘Best for Britain’ campaign to try to stop Brexit, and what a failure that’s been. Joy to the world! What do you get when you put two socialists together? Disaster! That’s what! Yes, Gina Miller’s ‘Best for Britain’ campaign against Brexit was funded by real former Nazi aid George Soros, who injected £400,000 to the cause in an attempt to drive home the cause of all the Remoaners aka Remainers, to stay in the European Union. What’s the EU all about? Well, the EU is a failing and increasingly more apparent totalitarian socialist model, that promises to oversee the wants of the domesticated people in their own countries, then instead care for migrants from far away lands, and provide for them as socialist spongers from mostly sh*thole nations, since let’s be honest, the migrant influx and the socialist multiculturalism ideology has changed the faces of nations, and brought upon cultural clashes entering these EU nations in droves to your overall detriment. If you think the Uk is better off inside the EU, then you must be quite thick, or have attended one of these marxist schools or possibly had a marxist teacher at your university. Of course George Soros would be behind Gina Miller’s campaign, since he is behind everything evil and useless, which only benefits him in the end. You’d be delusional to think that Brexit isn’t actually a good thing, and that the UK will not actually go on to prosper in international trade, because that’s exactly what will happen. Theresa May and the Brexit cabinet need to be hardline in these ongoing Brexit negotiations. So, a middle finger up to all the virtue signalling remoaners and snowflake cry babies, that have absolutely no clue what they’re talking about. George Soros used one of his many NGO’s to siphon in the much-needed cash for Gina Miller to somehow appear relevant in order to try to stop the United Kingdom from prospering, and to keep the UK as the EU’s main “b*tch”. But now, since the UK is leaving the European Union in March 2019, you can expect things to get even better for Britain, not worse, pending Theresa May’s drive to deliver what the people actually demand. Let’s remember that it was George Soros who made £1.5 billion after betting against the Pound Sterling in 1992 on what’s now known as Black Wednesday, which cost the UK £3.4 billion on that single day. Do you think you should trust George Soros, the European Union, Gina Miller, the Socialist colluded news channels, plus the Remoaners who are ultimately more worried about cheap flights to Magaluf, with the more ridiculous frenzied scare tactics of what might happen to the price of baguette’s, or how much will a German sausage cost after Brexit? Okay, enough of the jokes now. Seriously though, with international trade on the horizon, outside of the single market, and the UK being open for business without the weight of the EU on their backs, the country will ultimately blossom and prosper in the immediate and long-term future, both financially and culturally. The United Kingdom needs to be allowed to prosper, and people like George Soros, Gina Miller, and people willing to take bribes for their own benefit through George Soros’ many NGO’s to hamper Brexit from happening, do not have the UK’s best interests at heart. Theresa May needs to remain strong, and deliver a firm Brexit, be hardline with this totalitarian EU mob, and preside to take the UK out with the best deal possible, with countries all across the world, like China and America, and other world super powers open to doing business with the UK. That’s what should be paramount with Brexit, and that’s what these idiotic people out there need to understand: the United Kingdom, as a self-governing and independent nation, will be a far better off country both culturally and economically than the already failing European Union model. All the Remoaners can just cry all they like (for no good reason), and all Brexiteers need to make their voices heard now, without any need for a second referendum as the people have already voted to leave the European Union. Look at countries like Sweden, Germany, France, and know that these socialist nations have changed beyond repair. Now look at the more clever nations of Norway, Switzerland, and now the United Kigndom, wishing to have nothing to do with the EU. 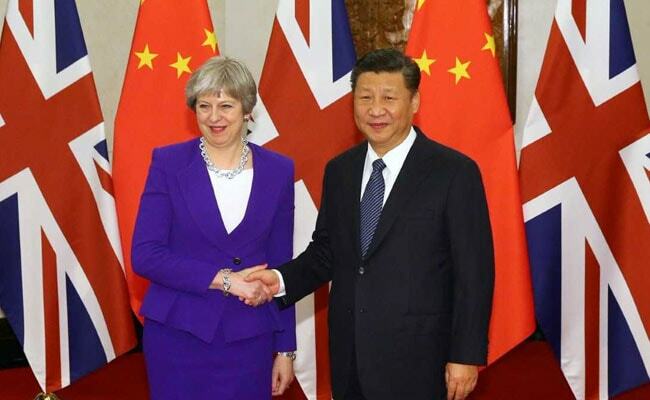 Do you remember Theresa May’s recent trip to China? Well, that’s the sort of prosperous economic prospects of trade that beckon. The door is also wide open to better trade deals with America and Donald Trump, which is the thriving rhetoric that should be promoted and cherished, and not the feelings of these virtue signalling dimwits who seem to believe that the UK won’t prosper outside the European Union. Switch off your socialist backed, George Soros funded, colluded news channels, and deliver us far away from the misery of the European Union’s impending doom, please! If Theresa May would be more Maggie Thatcher in these Brexit negotiations, and gave the people what they actually voted for, then Britain would surely prosper and to get what’s actually better for Britain. Not some lousy ‘Best for Britain’ campaign by Gina Miller, who has no political background, and takes cash from George Soros to become some self-styled moron that reckons that the UK should remain in the EU. Come on Theresa! Don’t cower to Jean-Claude Juncker, Angela Merkel and George Soros! Deliver the United Kingdom a deal to set the country up for its rightful prosperity. It isn’t 1992 anymore; the EU has changed and it’s only going to get worse.